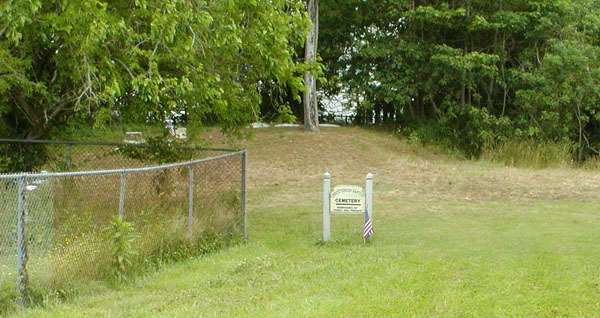 There are two African American graveyards on Chincoteague, Christ Union Baptist Cemetery and Odd Fellows Cemetery. Both are located on the west side Willow Street. There are many unmarked graves in both cemeteries and, at present, no records for either have been located. 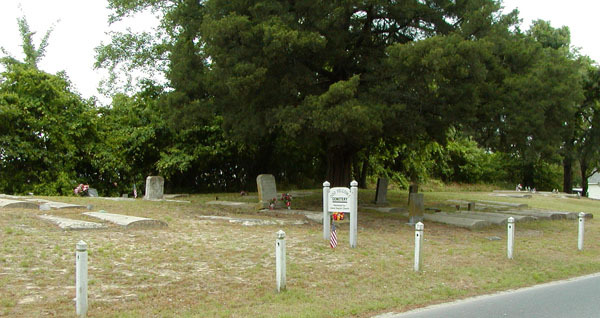 Odd Fellows Cemetery, long and narrow, is right on the street, just north of the Beulah Baptist Church Cemetery. Christ Union Baptist Cemetery is north of Odd Fellows and sits back from the road a bit. Most of the cemetery is behind the chain link fence where ponies are kept and partly hidden by trees and undergrowth. The northern and southern thirds are cleared out and grave sites are accessible. The center section, which contains several damaged headstones, is heavily overgrown. Christ Union Baptist Church itself stood at the back of the clearing on the north side of the cemetery. New: Most recent, most complete Burial List for Odd Fellows and Christ Union Baptist Church Cemeteries. This list is the most complete to date, including information collected from the two largest African American funeral homes in the area, with records dating from the 1920's. Unfortunately, almost all earlier undertaker records have been lost for virtually all cemeteries, black and white, on the Island. Click on the above link to view the list. Copies of this list have been placed on file in the Eastern Shore Room of the Eastern Shore Public Library in Accomac, the Chincoteague Island Library, and at the Museum of Chincoteague Island in Chincoteague (7125 Maddox Boulevard).